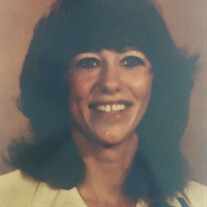 Norma Kay Ogden, 63, of Lake Butler, Florida passed away on June 22, 2018. She was born to the late Dellard and Dorthy Gibson in Louisville, Kentucky. Norma was always a hard worker, who had a good sense of humor. She loved talking and laughing, especially with family and friends. Norma had a passion for music. She enjoyed being outdoors, fishing, and she always enjoyed the Kentucky Derby. Norma is preceded in death by her two brothers, Billy Gibson and Lee Gibson. Her sister, Fay Gibson and her daughter Wendy Gilliam. Norma Kay Gibson is survived by her husband, William "Buddy" Ogden. One sister, Joy Satterly. One daughter, Jessica Ogden and two grandchildren.